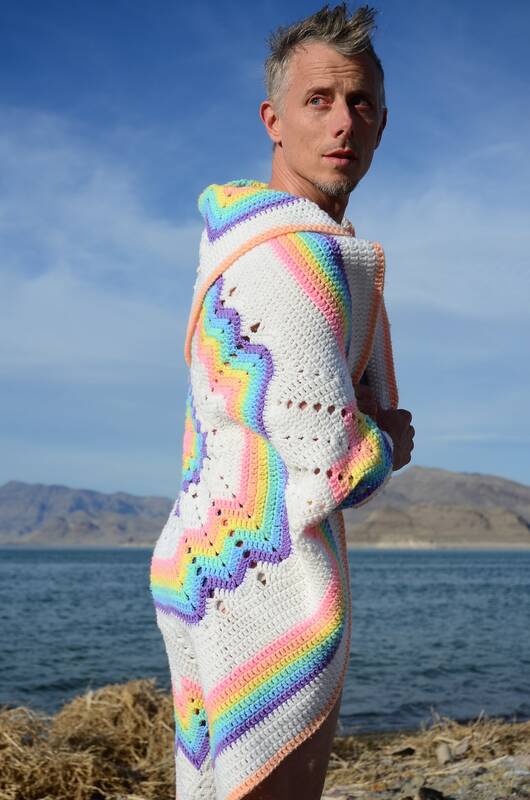 This is a crochet shrug with white and rainbow pastels!! 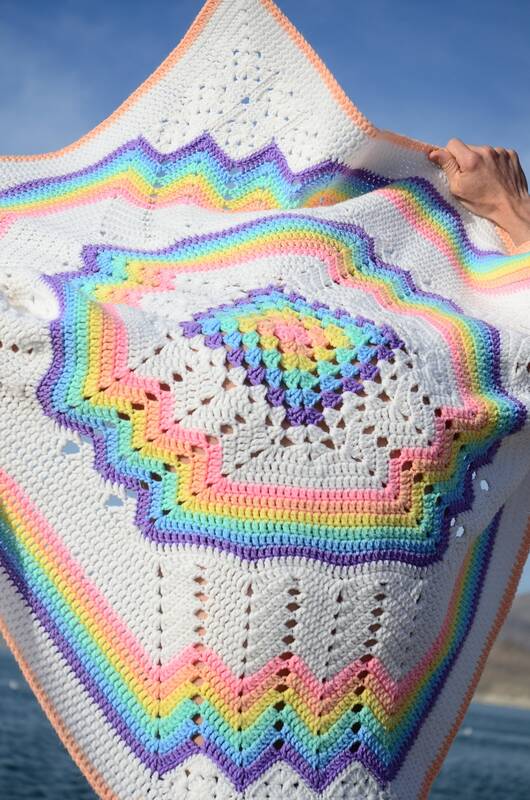 Made from an afghan blanket crocheted in acrylic yarn. One of a kind, handcrafted item produced 100% in the USA. Designed, tailored photographed by Schuyler Ellers.